Reishi Roast brings a coffee-like mushroom brew to a French press near you. 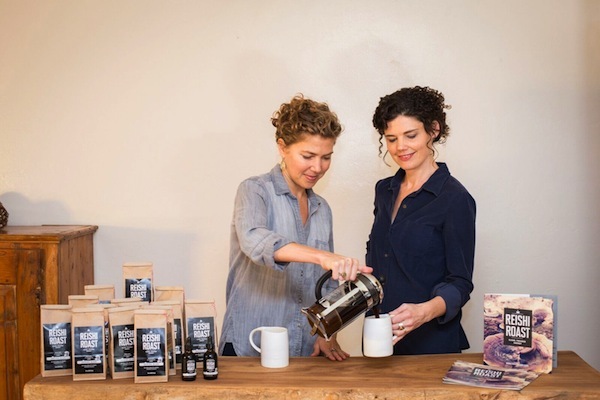 A decade ago, herbalists Amy Charnay and Lily Mazzarella did an odd thing, at least to coffee purists: They added powdered reishi mushrooms straight into ground coffee to curb the energy and mood fluctuations brought on by caffeine . . . and actually drank the strange brew. At first, it was only an experiment inspired by curiosity for how the signature chocolately bitterness of reishi—a woodsy medicinal mushroom with origins in East Asia—might work as a rich and earthy alternative to coffee. Eight years later, Reishi Roast, a locally produced, small-batch, brewable version is available to the public. Fans of the product say it balances their energy, improves digestion and mental clarity, and promotes good sleep. “People say they love how it feels,” says Mazzarella, owner and lead practitioner at Farmacopia, a natural apothecary and integrative clinic in downtown Santa Rosa. And, good news for anyone wishing to reduce their coffee jitters, it’s not a bad way to wean off or reduce caffeine consumption. Not ready to give up the bean? While robust enough to drink on its own, Reishi Roast tastes quite satisfying when combined with equal parts coffee and brewed in a French press. In America, outside of wellness circles, reishi may be unknown, but the powerhouse mushroom has a long history of medicinal use stretching back centuries. In Asian countries, reishi is known for promoting radiant health, longevity, and a centered, grounded state of being. Once reserved for royalty as a way to stem the aging process, the revered mushroom has long been used to boost immune function and treat viruses and lung conditions. It also makes an excellent nervine, offering adrenal support for overworked, stressed people in our busy modern world. Some research has even shown that the medicinal properties of reishi might repair liver damage. Charnay and Mazzarella met in 2003 as students at the Northeast School of Botanical Medicine in Ithaca, New York. 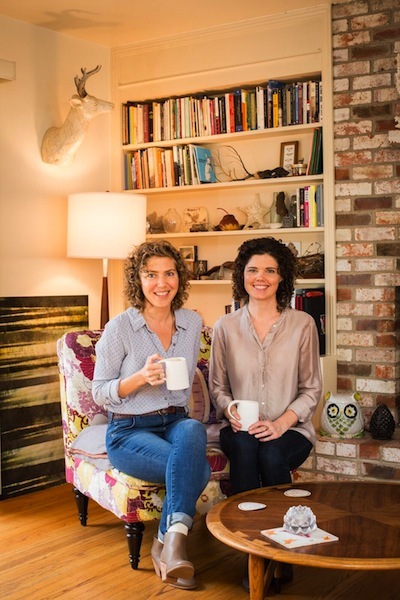 A friendship soon developed as the two quick-witted and creative women bonded over a shared love of herbal medicine and product development. They’ve since concocted everything from elixirs and lotions to home-brewed beer together. Mazzerella went on to a career in clinical and classroom settings while Charnay spent years conducting research and analysis in a laboratory setting. Still, the kitchen alchemy continued. They fine-tuned Reishi Roast’s flavor profile, adding herbs to craft a formula that balances health benefits with taste. Eventually, they settled on the current recipe, an organic blend of roasted chicory roots, reishi mushroom, chaga mushrooms, milk thistle, dandelion root, cacao, cinnamon bark, and other carefully selected ingredients. Two years, ago, they brought it to market, selling the blend at Farmacopia and online. Many coffee substitutes are comprised of a blend of dried and powdered barley, chicory root, and dandelion root in a style similar to instant coffee. Reishi Roast stands out in that it’s actually brewed like fresh coffee. And although it can typically take hours to extract medicinal qualities from woody mushrooms like reishi and chaga, the mushrooms sourced for Reishi Roast have been pre-extracted, meaning it only takes about 10 minutes of brewing time for the myriad health benefits to be available. Charnay and Mazzarella have also formulated a liquid extract of the product, providing a quick, portable alternative for consumption. Reishi Roast is brewed in small batches, allowing Charnay and Mazzarella to focus on quality over quantity. They prioritize ethical and sustainable sourcing of ingredients, carefully vetting herb suppliers. All of the materials are certified organic and tested for contaminants and aflatoxins, a nasty cancer-promoting chemical found in the mold on decaying vegetation. This attention to detail also means that Reishi Roast isn’t always readily available. Reishi Roast and Reishi Roast Liquid Extract are available online and in-store at Farmacopia. 95 Montgomery Drive Suite 90, Santa Rosa. 1.800.896.1484. Reishi Roast is amazing. I’ve been drinking it every day as part of my personal health protocol and I love it! A blessing they’ve created this! Thank you.